The Mae Hong Son province in north Thailand has many corners to explore and beautiful places for culture holidays in Southeast Asia. This region belongs to the golden triangle and has beautiful landscapes with mountains, rice fields and evergreen forest. The longneck hill tribes, Tham Pla fish cave Mae Sariang and Pai are the most popular travel destinations in Mae Hongson Thailand. In this province are a lot of boutique hotels, luxury resorts and travel accommodations like hostels and guest houses. Here you can make reservations and bookings for the best Mae Hong Son hotels and Pai hotel deals. Mae Hong Son downtown accommodation: Mae Hong Son town has many beautiful resorts and Mae Hong Son hotels for traveler and honeymooner in northern Thailand. At this accommodation booking system you will find the right hotel in Mae Hong Son Thailand. The Fern Resort, Imperial Tara Hotel, Rocks Holiday Hotel and Sawasdee Hotel are good and popular accommodation in Maehongson. This online booking and reservation system will help to find the right accommodation and the best Mae Hong Son hotel deals for your requirements. Pai Hotels Thailand: Pai is Thailand’s travel paradise and has many guest houses, hotels and hostels in town. Some people come for luxury holidays and deluxe vacation to Pai in Mae Hongsorn. The new Montis Resort, Paicome hideaway Resort, Lilu Hotel and Yoma hotel are good options for luxury hotels in Pai. Thale Mhog Bungalows, Baan Pai village guest house and Breeze of Pai offers good budget travel accommodation in Mae Hong Son. Here in Mae Hongsorn you can enjoy holidays in boutique hotels, luxury accommodation and cheap guest houses. The natural beauty of the nature and the nice hotel gardens will be an unforgettable vacation and travel experience on your Asia tour. 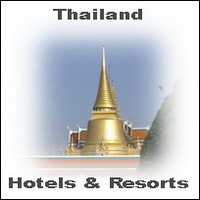 Here you can find promotion hotels and discounted rates for many hotels in Thailand.